Denise Fergus, James Bulger's mother, has written an emotional letter calling on Vincent Lambe, the director of Oscar-nominated short film 'Detainment', to withdraw the film from the Academy Award nominations. The 30-minute film about one of the most notorious real-life child abduction and murder case in Britain centers on the 1993 killing of 2-year-old James Bulger, who was tortured and killed by two 10-year-old boys. The short relies on transcripts of interviews with the killers to re-enact the events. The petition to remove the short from the nominations, which was launched three weeks ago, has since received more than 230,000 signatures online. Fergus has now spoken out about how Lambe "hadn't even bothered" to ask for her permission before making the film and also accused him of using the incident "to make a name for yourself". 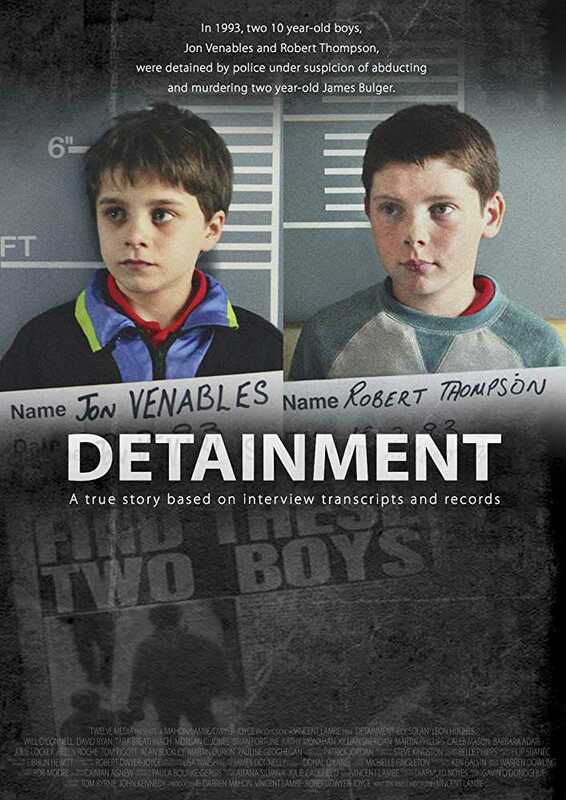 The Daily Mail reported that Fergus wrote to the controversial director and said: "Dear Mr. Lambe, I cannot express how deeply upset I am about the way you have gone about making your short film DETAINMENT about the murder of my son James. You didn't consider myself or any of my family when you decided to make this film, you had long enough to contact myself and you never bothered to even try and make contact to ask permission." James Bulger's mother Denise Fergus reacts to Irish film "Detainment". Fergus said that Lambe hadn't bothered to contact her before making the movie and had gone ahead and used a child actor to play "baby James." She added: "The re-enactment of that child being led away like the final hours of James' life has brought it back to me and it hurts so much I've even been told you placed a picture of the young child in amongst flowers, this absolutely sickens me. All this has bought so much pain to me and it feels like I'm living that nightmare again back in 1993, The only good thing I try to clutch at is that young child got to go home to their parents, James never did." She asked Lambe to do the "right thing" and remove the film from the Academy Awards and from public viewing. Fergus also added that people will think better of him if he withdrew the movie. She said: "I have seen you have done many interviews to try and justify this film one particular interview that sent shivers done my spine was when Claire Byrne interviewed you and as she spoke about watching this film that caused distress to her and she needed to stop and cuddle her children, You sat there and chuckled!" "I want to finish by saying this, James was my baby and not yours and it certainly wasn't 'your responsibility' to tell it, you have no right to use what happened to my son as a way to try and make a name for yourself! I'm sure you are aware of the petition a member of the public set up after they saw me being interviewed over this and as we currently speak over 220,000 signatures have signed for the film to be removed, I ask you to please do this for me and my family." Speaking to Metro when the nomination of the film was announced, a spokesperson for the Academy Awards said: "The Academy offers its deepest condolences to Ms. Fergus and her family. We are deeply moved and saddened by the loss that they have endured, and we take their concerns very seriously. Following longstanding foundational principles established to maintain the integrity of the awards, the Academy does not in any way influence the voting process." "Detainment was voted on by Academy members. When making their choices, each individual applies their own judgment regarding the films' creative, artistic and technical merits. We understand that this will not alleviate the pain experienced by the family; however, we hope it clarifies the Academy's neutral role in the voting process." Despite the criticisms, the Irish director has said that he would "make it exactly the same way" again. He has also said that taking the film out of the nominations would defeat the purpose of creating it and that he did not have any regrets over the finished film, reported Independent. Speaking to the Press Association, he said: "The film was made with an honest purpose and I think it's a legitimate contribution to that discussion, to people who want to look past the characterization of these children are just evil and monsters. I do think the film is important and by withdrawing it it would defeat the purpose of making it. They not only want me to withdraw it from consideration but they don't want it to be publicly shown, anywhere. If I were to make the film again I would make it exactly the same way. A lot of other people who have seen the film, they think it is important as a piece of art." Lambe also refuted criticism against the short film that it contains scenes of violence. He said: "So much of the reports have been grossly misleading to the point where people think there's graphic violence in the film and I think that's why they're outraged and I can understand that because I would be too, if I heard about a film about that." He concluded: "It's an important film, it's a challenging film. It's not my opinion I'm trying to express through the film, that's not what I'm doing. The film challenges my own opinion and the opinion I've always had. That's how I know there is truth in the film, but the truth isn't very easy."